It’s not quite the end of the year but talking to friends and about West Ealing made me realise what has been achieved this year. Yes, there is still much to do but it seemed right just to stand back and celebrate what I believe has achieved in 2016. 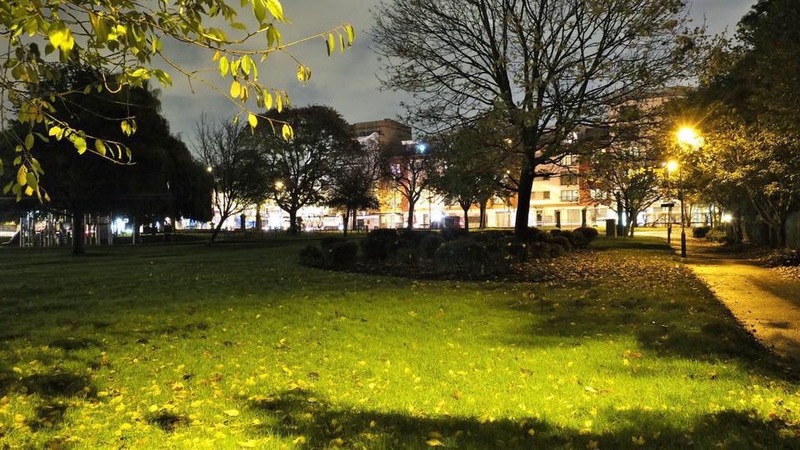 We know Dean Gardens has a poor reputation, is a gathering place for street drinkers and, once night comes, can be used for drug dealing. Now though, through the work of WEN, other residents’ groups, faith groups, housing associations, Ealing Council, the police and West Ealing Business Improvement District, we found the money to commission some radical and exciting designs to transform Dean Gardens in to a desitination park to be proud of. Our next challenge is to raise the money to put these great ideas in to action. It’s quite a challenge but I think we can do it with the support of the Council and local partners. Redesigning Dean Gardens can go a long way to reducing the anti-social behavior associated with it and make a huge contribution to the improving the reputation of West Ealing and most definitely making it a better place for everyone. To see the ideas for Dean Gardens and be kept in touch with progress just visit the specially set up website. On the theme of anti-social behaviour it’s worth saying that thanks to the support of the borough commander we have had additional police resources alocated to West Ealing for the past few months. I’m told over 40 arrests have been made in this time, mostly for drug dealing. In addition, as many of you will know, there is a proposal to introduce a Public Space Protection Order which will give the police more powerto tackle anti-social behaviour and drug dealing in and around the shopping centre. More details in an earlier post on this blog . Taken together it does feel that serious efforts are being made to tackle the blight of anti-social behaviour in and around Dean Gardens and the high street. The idea of a co-working hub in West Ealing has been around for a few years but it’s now just a few months away from opening. I think this is another development that has the potential to bring significant change and benefits to West Ealing. If we get it right it will attract a wide range of freelancers, artists, musicians, small and start-up businesses and many more in to St James Avenue in the heart of West Ealing. This injection of enterprise and energy could bring all manner of benefits to West Ealing – its reputation , its shops and its community. All reasons for making West Ealing a better place. The WEN site running from www.westealingneighbours.org.uk for the last 10 years is shuffling to a back room allowing the more frequently visited WEN-blog to serve up its contents directly. There’s something for all the family with face-painting, Father Christmas, and a nativity play. And watch out for our Abundance stall selling, apple juice, elderflower cordial, fruit butters and chutneys all made from locally grown produce – ideal for that little extra Christmas treat. The West Ealing Workspace Hub needs you! We’ve brought you a number of updates about plans for a co-working hub in West Ealing. Now called The Workspace Hub and based in St James House in St James Avenue, the project is gathering speed and they need your help to create the space that suits your business needs. The architects Projects Office are designing the hub and will be leading a workshop on Wednesday 14th December. They want your input into the manifesto which will be at the heart of the hub’s development. What skills can you share or would you like to gain? Join the workshop to get your ideas at the heart of West Ealing’s dynamic new workspace. After the workshop they will be holding a drop in session throughout the afternoon so drop in to explore the space and talk to the designers. If you can’t make it on the 14th you can keep up to date with the hub’s progress through their website where you can subscribe to their mailing list. Ealing Council wants to hear your views on its plan to create a West Ealing ‘protected zone’ (Public Space Protection Order- PSPO) as one of its steps to tackle anti-social behaviour associated with street drinking and drug use in West Ealing and Hanwell. We’ve written about these problems a lot over the past few years and this could be a good step in the right direction. There’s a more detailed story about this on the ealingnewsextra website and the actual consultation page of the Council’s website is here. There are obviously arguments about whether this will simply move the problem elsewhere but on the whole this could be a really useful step in tackling the problems we are all too familiar with in West Ealing. So WEN encourages as many people as possible to respond to this consultation. The deadline for comments is 5pm 23rd December. This is related to the above story in that Dean Gardens is a well-known hot spot for anti-social behaviour. Over the past year WEN and a wide range of other local stakeholders and organisations, including faith groups, Ealing Council, local housing associations and residents’ groups, .have been meeting to look at ways to improve Dean Gardens. Earlier this year we managed to raise enough money to commission experienced landscape designers BDP to help us with ideas on how to take this project forward. They have completed their study and have presented some exciting ideas to the group. The next step, which we have just begun, is to talk to possible funders about these ideas to see if we can put together a consortium of funders to turn these ideas in to a reality. This may take some time but we think it can be achieved. You’ve only got to look at all the development happening in West Ealing to realise that it will be important to the developers that Dean Gardens is an attractive and vibrant public space. So, with the Council’s support and support from the developers we might just make it happen. We’ll be posting highlights from the BDP study and further updates soon on our Dean Gardens website so take a look there in another week or so for the latest news on progress. We had a great response to our recent vote about Pathways’ plans to build on part of the Northfields allotments, so our thanks to everyone who took the time to participate. As well as the actual votes we also had a lot of comments. This will all be a great help to the committee when it meets to make a decision on whether or not to support Pathways’ plans. We’ll let you know the outcome as soon as we can. In the meantime, if you missed the exhibition of Pathways’ latest plans you can find them on their website. West Ealing Neighbours is a member of Save Ealing’s Centre (SEC) and SEC has put out a call for funds to pay a barrister to help it fight what it believes are inappropriate plans to redevelop this site right in the heart of Ealing Broadway. These plans have been called in by the Secretary of State for the Dept of Communities and Local Government. Many of you will remember the previous battle over Glenkerrin’s plans for the same site. These plans were also called in and the Council’s decision to approve was overturned by the Secretary of State and some time later Glenkerrin went bust. SEC is not against developing this site but wants it done in keeping with the character of the area. The Council is paying a QC to argue its case and SEC needs to raise £25,000 to pay a barrister to put its case. You can find out all the details on SEC’s website. Now in its fifth year the Festival has a full programme of live music including The Blues Band’s Paul Jones and Dave Kelly singing at the Red Room, the birthplace of British rhythm and blues. The world’s most recorded chamber orchestra, the Ealing-based English Chamber Orchestra make a welcome return and feature in an impressive line-up of classical music across the Festival. drama Pride (2014), written by Stephen Beresford and directed by Matthew Warchus, at the ‘Island Triangle’,North Acton – the UK’s most filmed location. It’s been a while in the making but the www.mywestealing.com website is coming soon. My West Ealing is a new community resource and online space to connect with what’s happening in West Ealing. You’ll be able to connect with local people and businesses, and have your say about you’d like to see, do or change about West Ealing. My West Ealing is the final project to come out of the ‘riot recovery’ fund set up after the 2011 riots. The aim of this new website is to become a one-stop shop for anything about West Ealing from events and advice services to local businesses, Council services and much, much more. WEN’s website, blog and Facebook pages will keep going and will be just some of the many sites linked to by My West Ealing. WEN is a group of some 400 strong made up of West Ealing residents, workers and visitors who want their town to be better for everyone. Membership is free and available to anyone in the West Ealing community, irrespective of background, race, ethnicity, nationality, sexual orientation, political orientation, faith/non-faith, or gender.